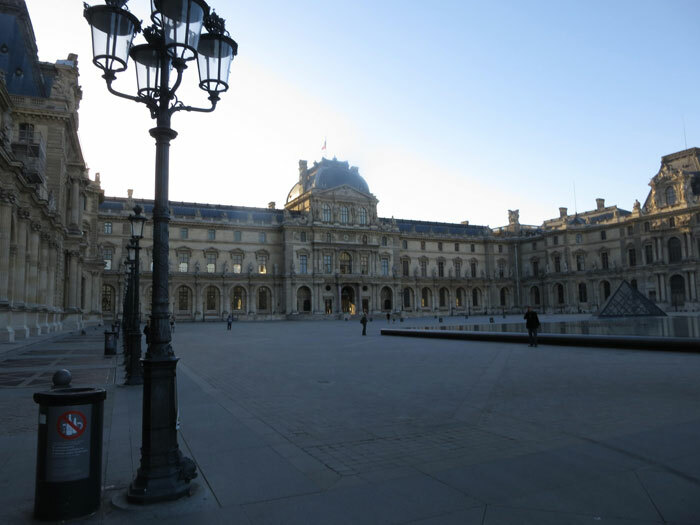 The famous museum is by far the most visited place in Paris. You can't really get this close to the Mona Lisa and the glass in front of it makes it photograph like crap, but you get the idea. 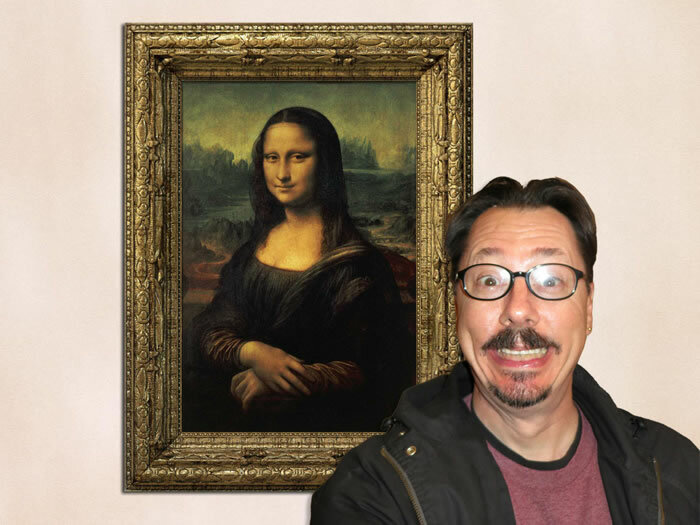 Jonny's guide book said "Mona may disappoint you. She's smaller than you'd expect, darker, engulfed in a huge room, and hidden behind a glaring pane of glass." True enough, but even overlooking its merits as a painting (which are substantial), Jonny couldn't help but be overwhelmed at the idea that he was standing in the greatest museum in the world looking at the most famous painting ever created. That is a moment to be savored and reflected upon, and there is nothing disappointing in that. 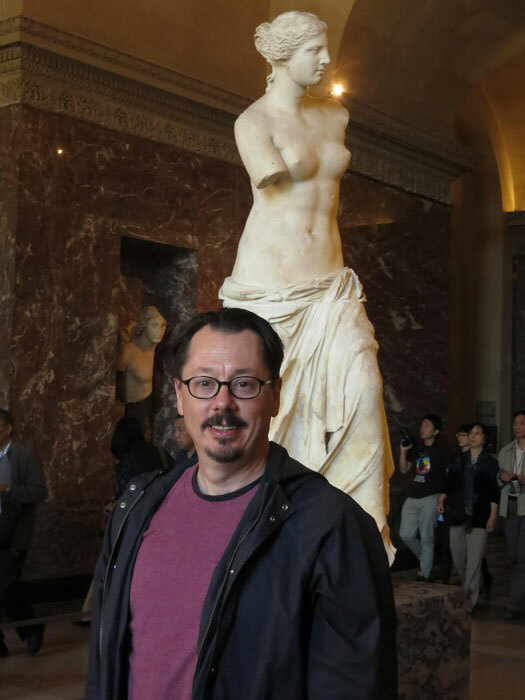 Jonny with the Venus de Milo. The small arc d'triomphe between the Louvre and the gardens directly across from it. Jonny's favorite painting in the Louvre, which he dubbed (with his usual maturity) "Talk to the Hand." After his palace across from the Louvre burned down, Napoleon II moved into apartments inside the Louvre, which are on display today. Jonny in Napoleon II's dining room. The glass pyramid which grants access to the galleries cost well over a billion dollars to construct. 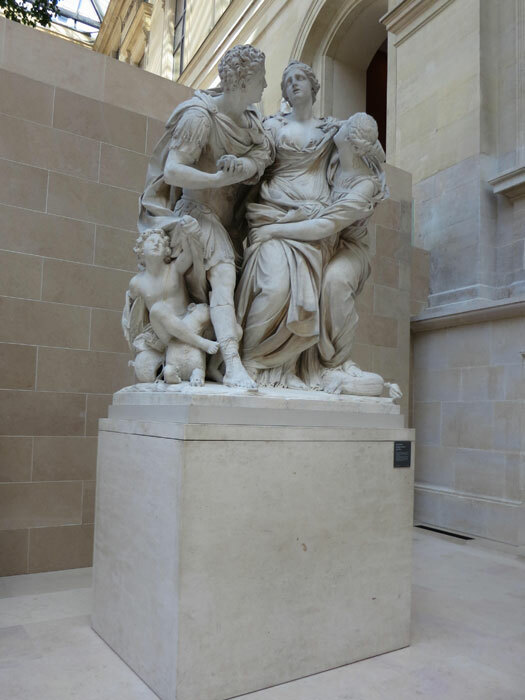 If you were to look at every article on display at the Louvre for six seconds, taking a two-second break in between, it would take you six days to get through the whole thing. These guys were hanging around a Louvre balcony on their break. Jonny thought it was hysterical that French chefs actually dress like French chefs. 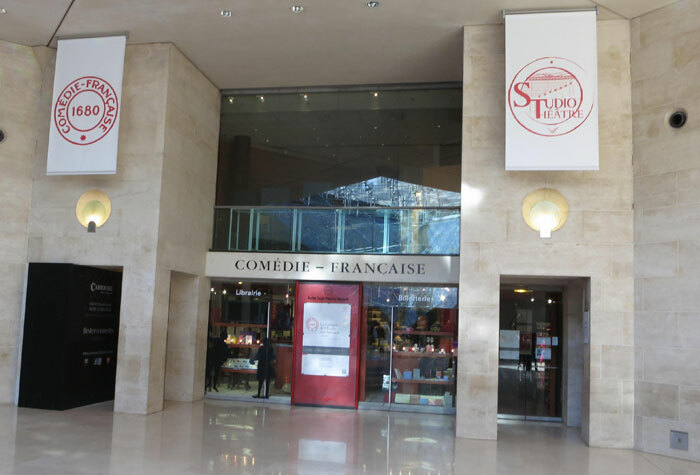 included the studio theatre of the Comédie-Française. 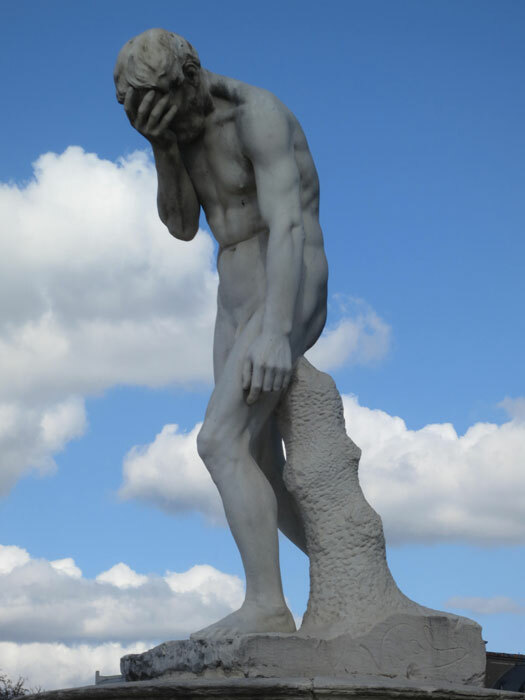 After facing the throngs of people who visit the Louvre ever day, Jonny knew how this statue felt.